Our extra pre-Christmas session proved to be a great success with forty women in total turning up to sing, and eat together. About twenty of these were people responding to our advertising or personal invitation and whom we hadn’t met before. It was good to see a few former members again too. Janet taught us some new songs as well as returning to some old favourites. The results were very impressive ending in a three part harmony of a new Christmas song none of us had sung before. Almost everyone wanted to sing but one or two were happy just to listen. A great selection of seasonal food was provided as well as mulled wine (non-alcoholic variety, as many people were driving). All the food was organised, bought and prepared by Janet and few choir members. Thank you to them for that. Our next session like this is on January the 3rd. All women are welcome as before. The session was paid for by Clinical Commissioning Group-Prescription for Wellbeing Fund (part of the NHS) as the health benefits of singing are well known. Thank you also to everyone who contributed to our Christmas collection, instead of sending cards to each other. As a result more than £38 was spent on festive fair for the food bank. Thank you to choir member Sue who shopped for this and delivered it to the food bank. 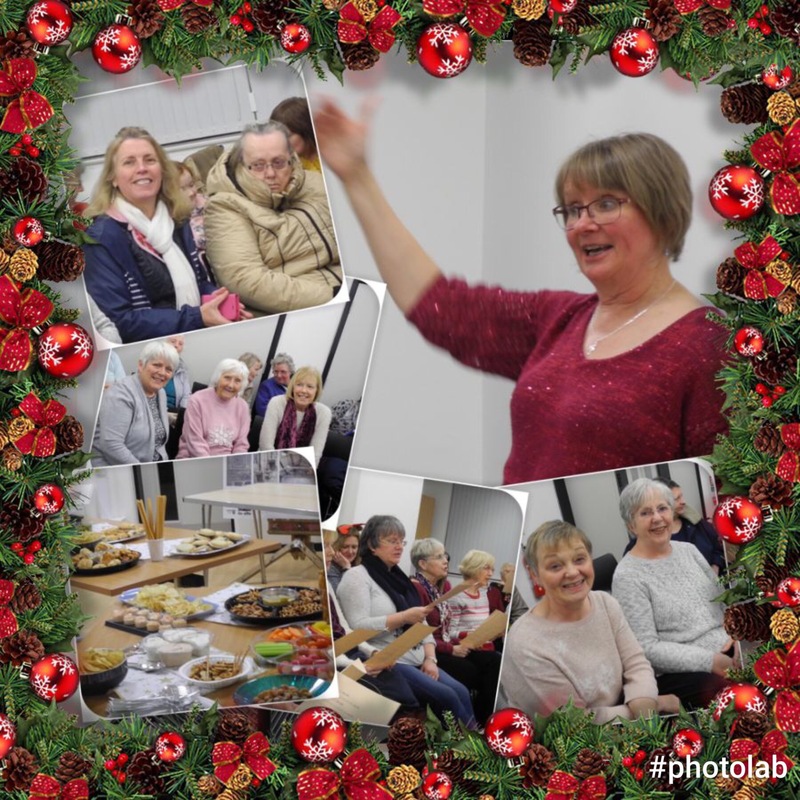 And finally… Happy Christmas to everyone and see you on January 3rd for a good sing with lots more to eat .. don’t forget to bring a friend again. 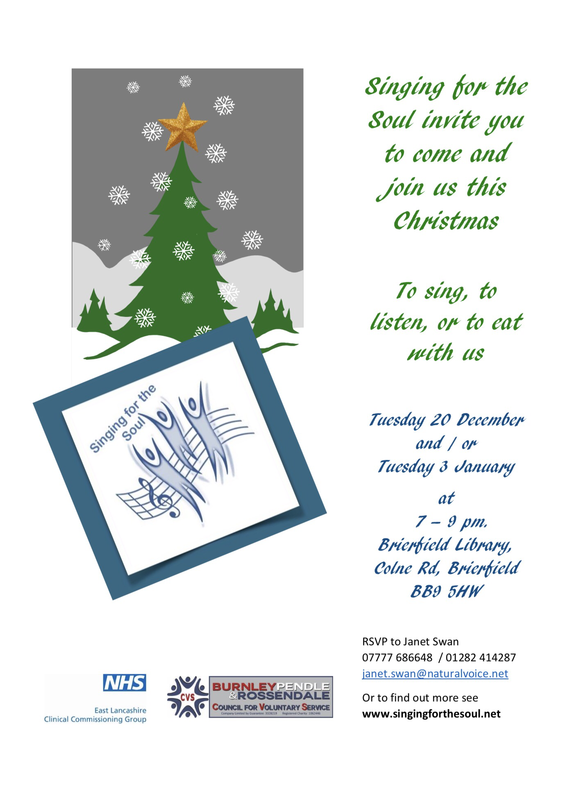 Come and join us for some Christmas songs and food!